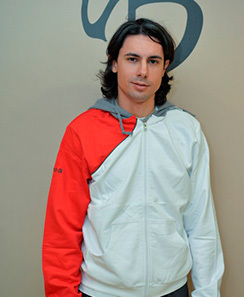 Royiros studied Electro Engineering in Thesaloniki, Greece, and joined the EWTO in 2008. Since then he has learned from Sifu Tsikolas in Greece and joined EWTO Cyprus on his return from studies. He has recently passed his 12th student grade exams in Hockenheim, Germany, where he convincingly proved his skills in a powerful presentation in front of several hundred EWTO Teachers & Masters. Royiros is the head assistant of the National Chief Instructor.